Have you danced to any of these tracks? (SPOT.ph) Now that the holiday cheer is upon us, there are a few things you can definitely expect: Food-laden gatherings, Jose Mari Chan songs, and, of course, Filipino street parties around every corner. And with these street parties come the playlists that seem to just play the same songs over and over (and over and over). These 10 songs will no doubt be blasting on your neighbor's karaoke speakers, but it might be best to tell them to find a new playlist that isn't from the early 2000s. Arguably the Pinoys' official party anthem, "Otso Otso" started out as a joke by actor-comedian Bayani Agbayani—but what a joke it became because the song has gone Triple Platinum since its release in the early 2000s. You’ll definitely remember this song to be a fun tune that had every kid stopping in their tracks to do the unforgettable Otso Otso dance move. We’re willing to bet you still know all the words (and actions) to this one. The song rose to national popularity after comedian and TV host Vhong Navarro debuted it about 10 years ago. Since then, it’s been a staple in noontime show challenges, Christmas party performances, and of course, your Pinoy party just around the corner. 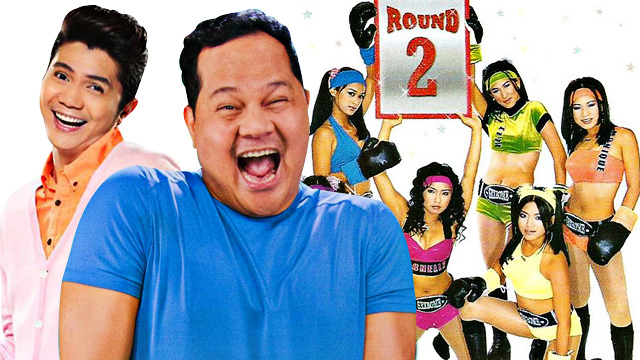 Back in the early to mid-2000s, it was hard to get through a Willie Revillame show without having this novelty tune come up—more often than not being performed by the audience of his game shows themselves. Ever since its release, the song has seen different versions. But now that it’s the holidays, you’ll probably be hearing the Christmas version everywhere you go. This '80s song seemed to be a staple in kiddie birthday parties, grade school sports fests, and anything that involved kids having to dance in front of a lot of people. Not much is known about the original singer Toni Basil, but it sure was a fun song to hear whenever it came on. But probably the question on every Filipino’s mind was (and still probably is): Is this song about Mickey Mouse? Pinoys are a festive people, so it’s fitting that a song as festive-sounding as “Todo, Todo, Todo” would make it to a local street party. The award-winning Latin tune was catchy enough to get anyone to get up from their seats and dance. The entire song is sung in Spanish, but that doesn’t stop our country from loving it—do you remember the recent “Despacito” craze? “It’s so nice to be happy, sha-la-la!” sang every Filipino since 1999. Not only has Alexia’s "Happy" been a constant companion in a Pinoy-party playlist, it’s even been the inspiration for advertising jingles and parodies by local brands. But no matter what, the fun and cheery tune really did have a way of bringing a smile to your face from the very first note. While no one could really remember all the girls Lou Bega sings about in his hit single "Mambo No. 5" (A little bit of…who's next again? ), you couldn’t easily forget this song after all the times it crept up in those late-night holiday parties. Just the introductory “Ladies and gentlemen, this is Mambo No. 5” line already got everyone excited. On a related note, were there Mambo Nos. 1 to 4? Jennifer Lopez’s dance song was a fan-favorite at parties for its catchy beat that’s fun enough to jump around to. Now, you’ll definitely find it popping up at either in a ballroom dance class or a late-night Christmas party this holiday season. Fun fact: This song was originally recorded by J-Lo in Spanish. Was your childhood even complete if you never had to play musical chairs to this song at a party? It's the type of song your titos and titas would play so the kids would dance before getting their aguinaldo. The extra bibo kids got the extra 20 bucks, too! 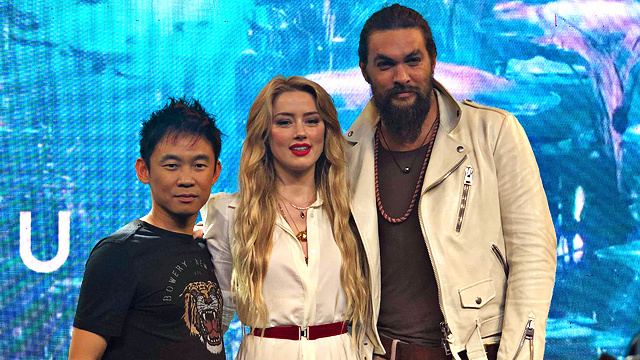 Aquaman's Jason Momoa to Filipinos: "We're Basically Family"